California fuschia from the Channel Islands. The tallest of the California Fushia’s at 3′. 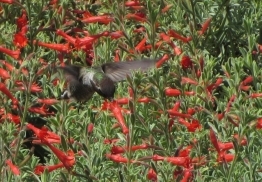 Red flowers in summer and hummingbird favorite.